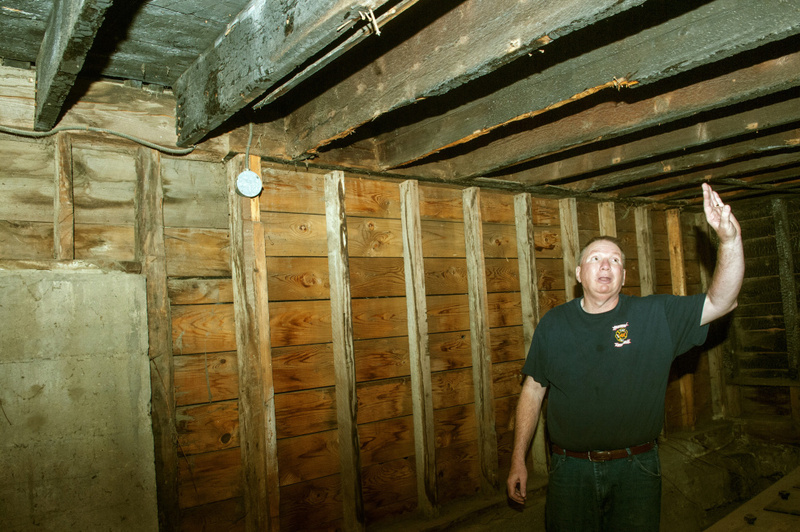 The Second Street station was built in 1828 and has a leaning wooden hose tower, basement walls and some beams damaged by fire, and other structural problems that will be fixed. 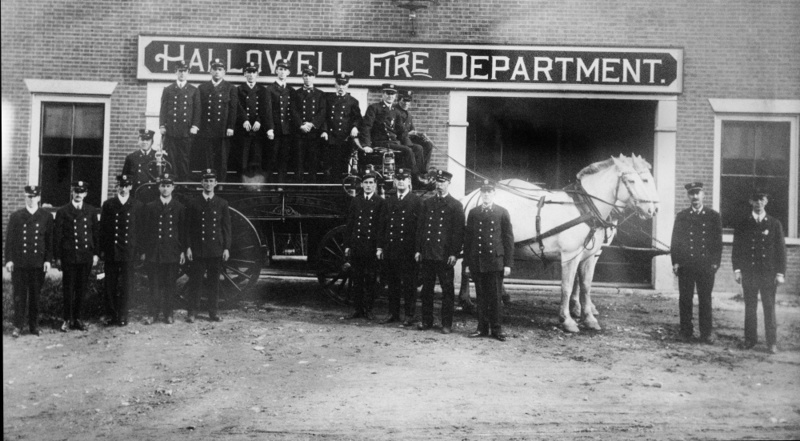 HALLOWELL — Even as the city breaks ground on its new fire station Friday, work is set to begin to repair the structure of the nearly 190-year-old Second Street firehouse that supporters describe as an iconic building in the heart of the city. Earlier this week, the City Council approved a proposal by local contractor E.J. Perry Construction for $215,000. The project will be paid in full using money approved by voters in April as part of a $2.36 million bond package. 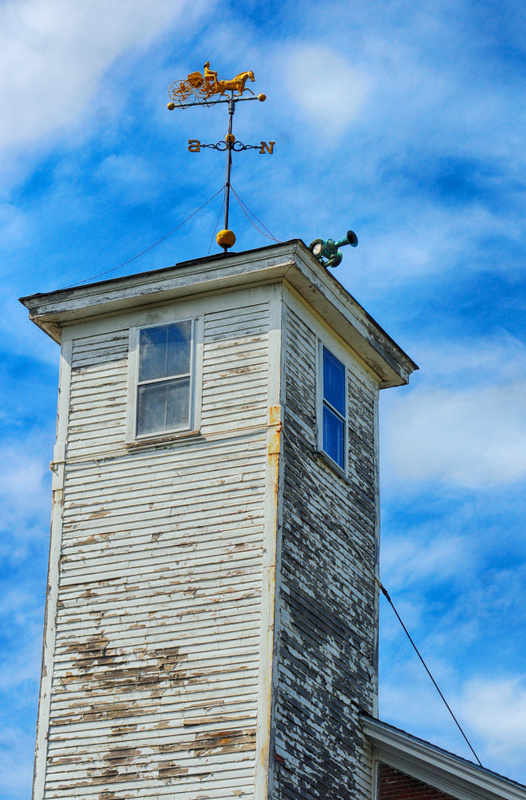 Sandy Stubbs, president of the Hallowell Citizens’ Initiative Committee, or Tower Preservation Group, said the start of the restoration work has been a long time coming. According to the bid submitted by E.J. Perry, the general scope of the work includes shoring up the existing wooden structure, removal of all basement walls, installation of new exterior basement-level doors, framing a new stair system from the basement to the first floor and adding new exterior wall framing to the basement level. City Manager Nate Rudy said the work will begin once the contract is signed, and he hopes the work is completed before the first snowfall. 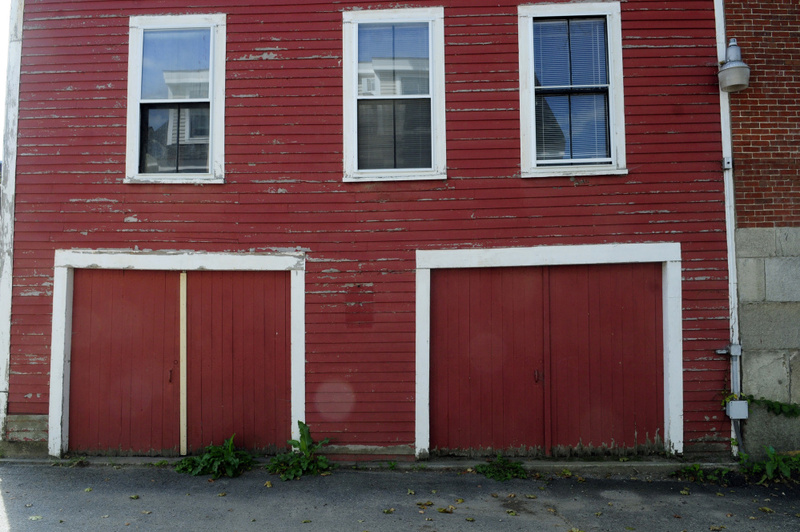 This work is the first phase of a two-phase process to turn the city-owned building into a more attractive property that can be an economic development opportunity for Hallowell. 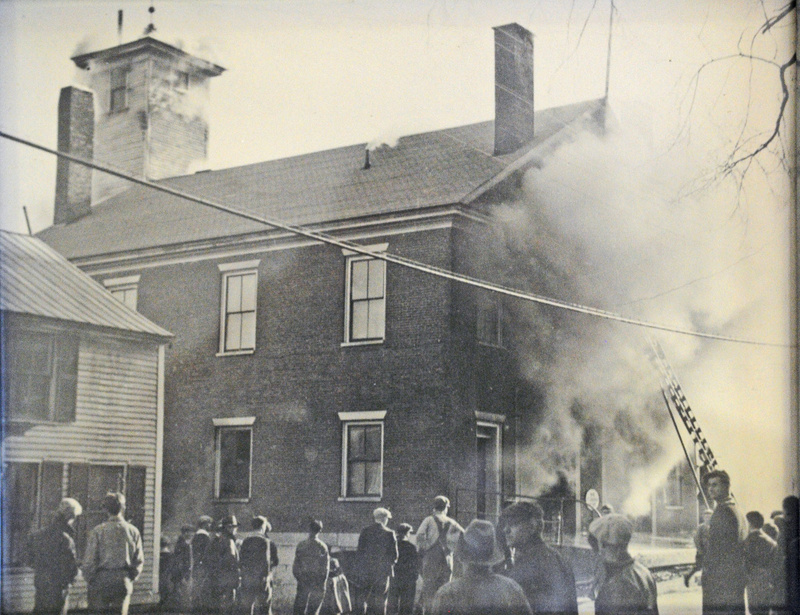 The second phase, the complete restoration of the wooden hose tower and other interior work, will be paid for with money raised by Stubbs’ organization. Rudy said he doesn’t think the city would be willing to contribute anything additional. “The council recognized that there’s a basic obligation to a city-owned building to make sure it’s structurally stable and sound, and that’s the minimum standard we are achieving,” the city manager said. Stubbs has long been a proponent of converting at least some of the space into a museum. The large room above the fire station garage used to be where the City Council met, and the Fire Department uses it for meetings now. The room is filled with historical Fire Department memorabilia and artifacts Stubbs said should be seen by all. 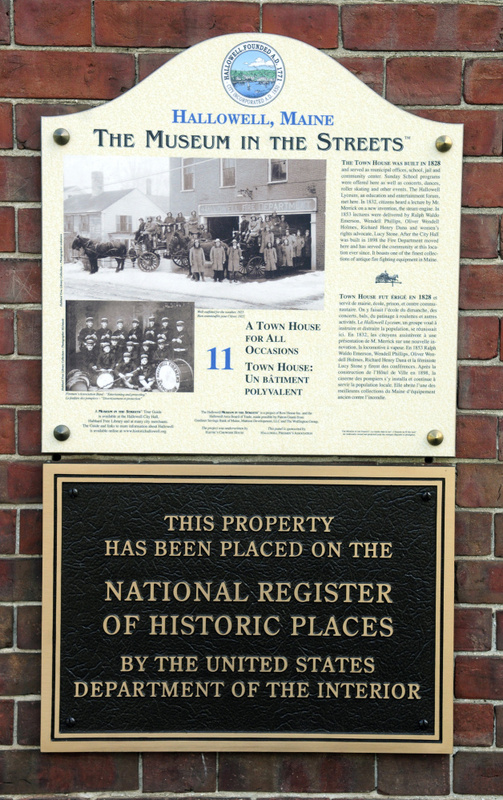 The building — which is listed on the National Register of Historic Places — was built in 1828 as the Town Hall and then became City Hall when Hallowell became a city years later. 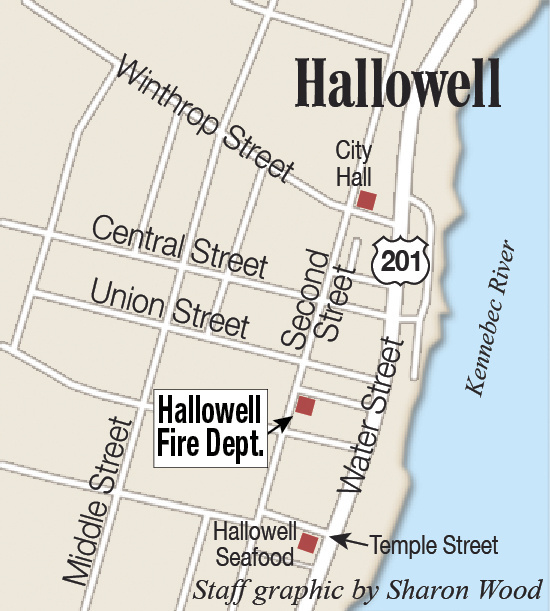 The fire tower was added to the structure when the Hallowell Fire Department moved from Water Street. A council resolution in 2013 sought to ensure the building was preserved and maintained for the future. “In the brick section, there’s usable space on both the first and second floor that can be used for a museum or display room,” Rudy said. There is also an apartment that Rudy suggested the city rent to generate revenue to help pay for the upkeep of the building. Currently, the apartment is used by the Fire Department as a lounge space, a sleeping area and for storage. 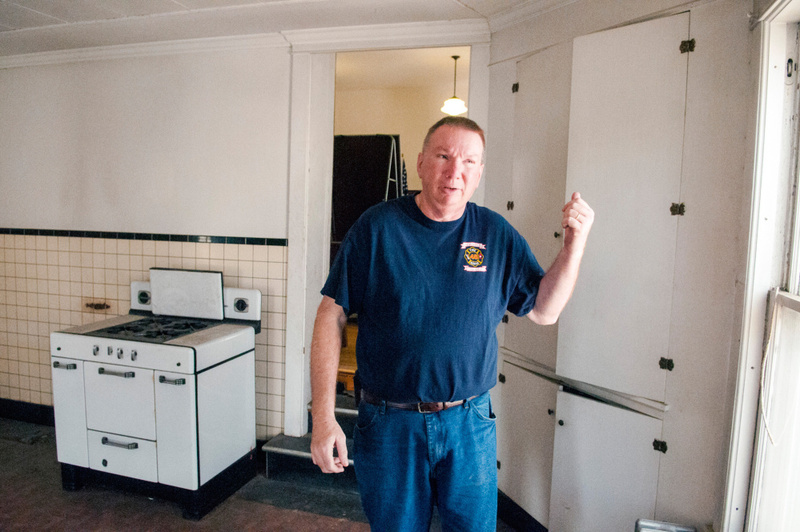 Chief Jim Owens’ office is in one of the bedrooms, and he said he’d like to see the city rent the apartment to Hallowell firefighters who don’t live in the city. Once the department moves early next year to its new station at Stevens Commons, Rudy said he’ll recommend moving the Police Department — currently in the basement at City Hall — to the open space in the Second Street station’s garage. The Hallowell food bank also has expressed interest in being on the first-floor level. “When the work is finished, that space will be a blank slate for whatever the city wants to do with it,” Rudy said. An anonymous donor pledged up to $1 million in March — which was increased to an unspecified amount this summer — for the construction of a fire station at Stevens Commons. Architect Rosie Curtis’ design for the 5,300-square-foot station was approved by the council and the Planning Board earlier this week, and construction is due to begin soon. The project is on a fast track because Mayor Mark Walker and other city officials agree it’s important the station is finished before the Water Street reconstruction works begins in April. 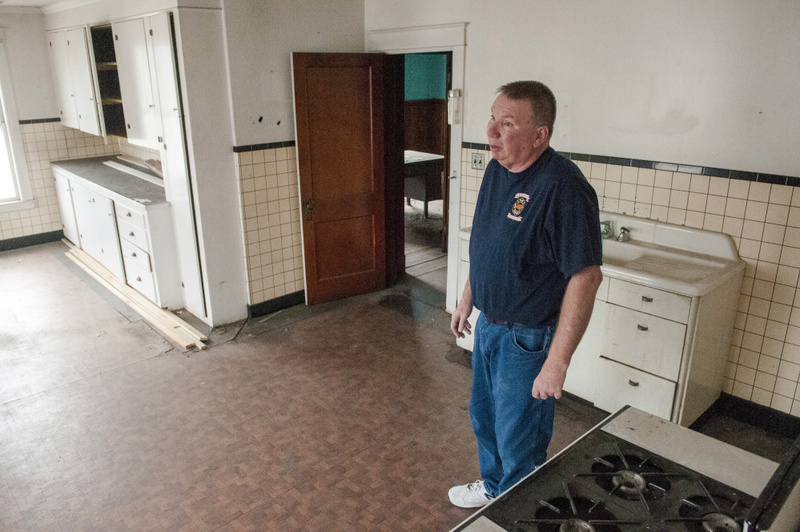 Motorists will be re-routed along Second Street and increased traffic could disrupt fire response if the Fire Department still calls its current station home. 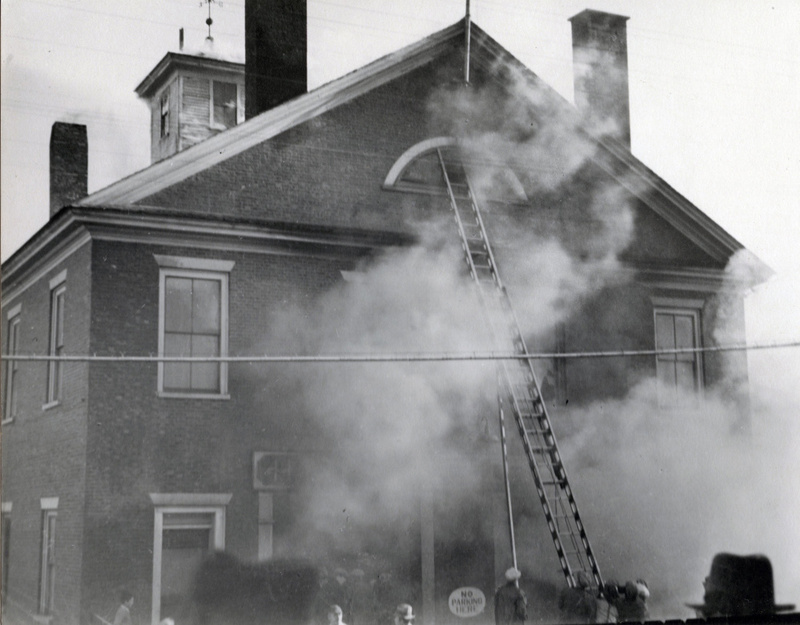 The wooden fire tower was used for decades to dry the department’s fire hoses, which were made of leather and cotton. After fighting a fire, firefighters hung the hoses inside the tower to dry. Snow, ice and water also accumulated on the hoses, so the tower was used to drip-dry the material. Like other projects in the city that would be more expensive to complete over time, the council decided that it was important to make the investment in the station now, Rudy said. “They were swayed by the argument that (the investment) would leverage other investments from other interested parties and supporters,” he said. 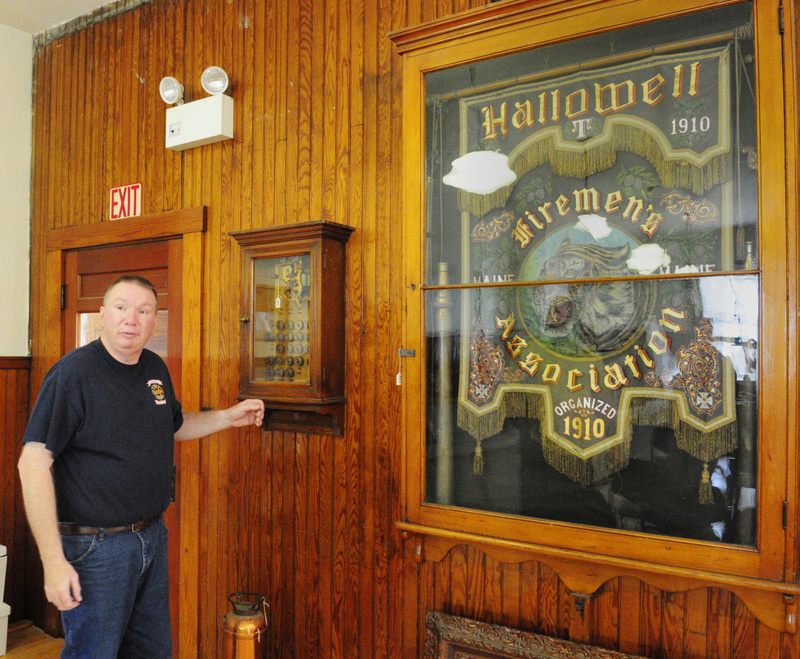 Deputy Chief Roy Girard has been with the Hallowell Fire Department for 30 years and said there’s a lot of history in the building he’d like to see maintained.